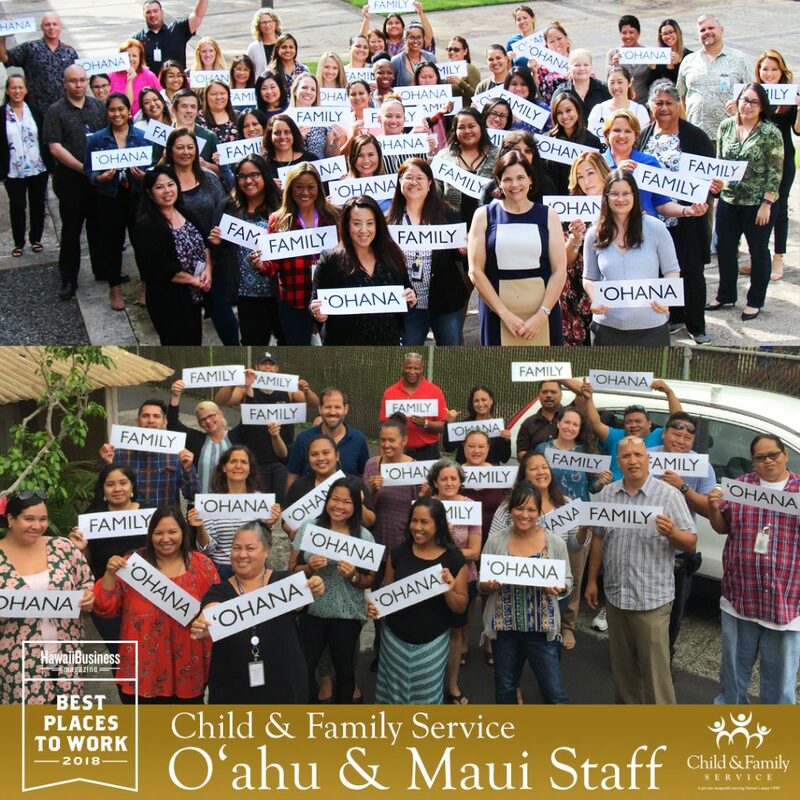 Child & Family Service (CFS) is all about family, and that includes taking care of our valued staff members! 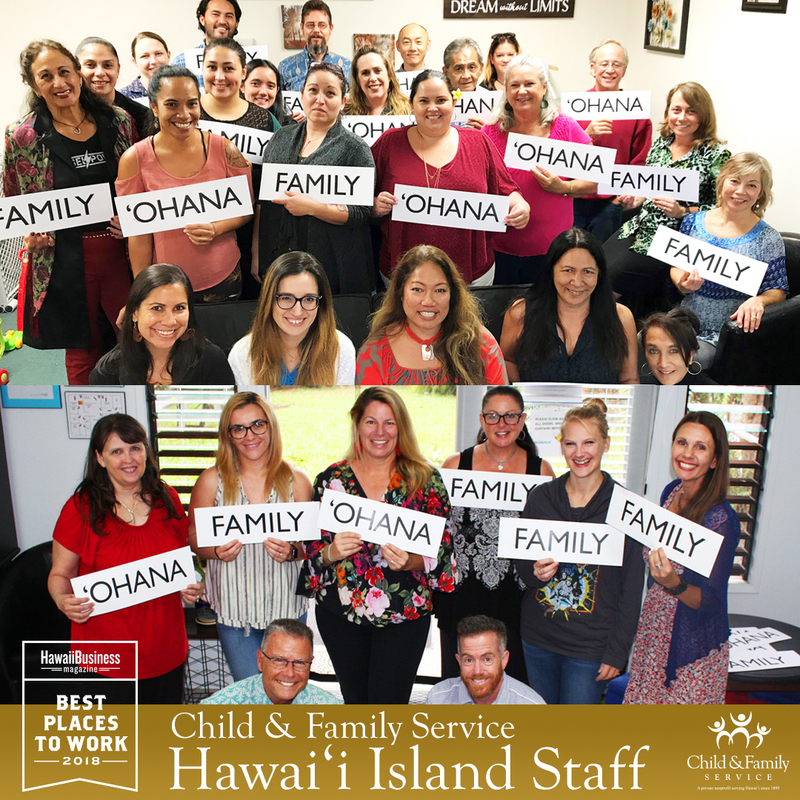 CFS has been named a 2018 Best Places to Work by Hawaii Business Magazine in the large organization category. Each year Hawaii Business Magazine partners with research firm Best Companies Group to administer the Best Places to Work survey. The main part of the survey is a confidential questionnaire sent to all employees, with the rest of the score based on questions answered by the Human Resources department about benefits and working conditions. Tiny Pulse: Through weekly organization-wide real time surveys, we take a temperature check on current issues as well as recognize outstanding employee work. Throughout our 118-year history, CFS has been committed providing provide hope to family members of all ages. 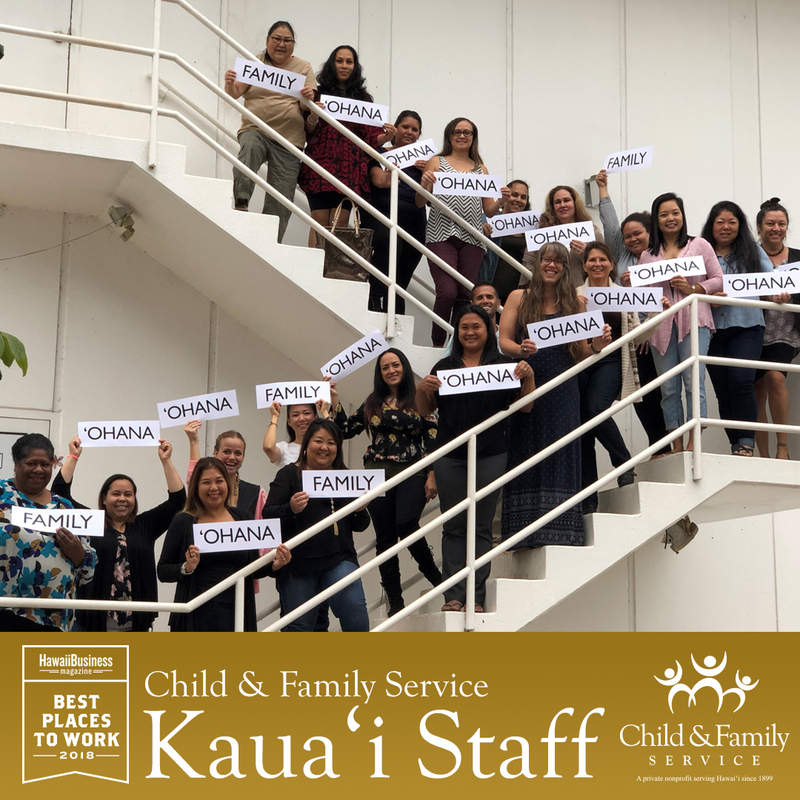 The care, expertise and professional experience of our staff members are our most valuable assets. For more information on job openings and benefits, visit our Career page.